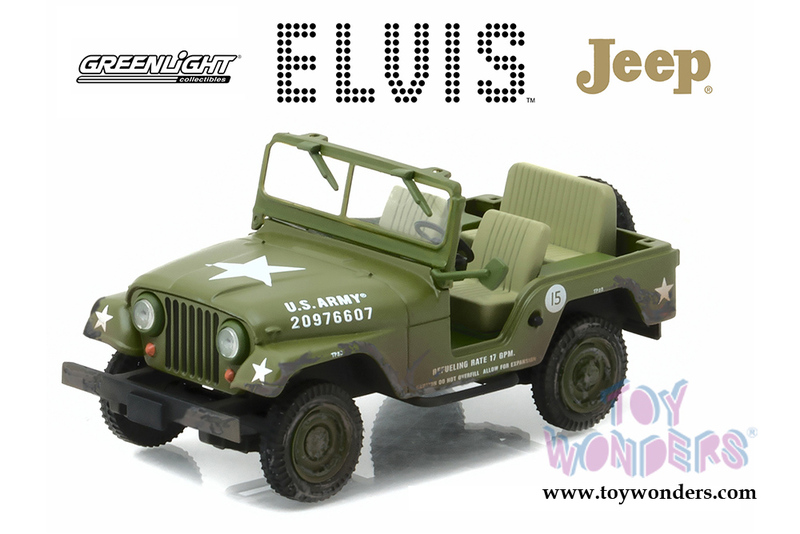 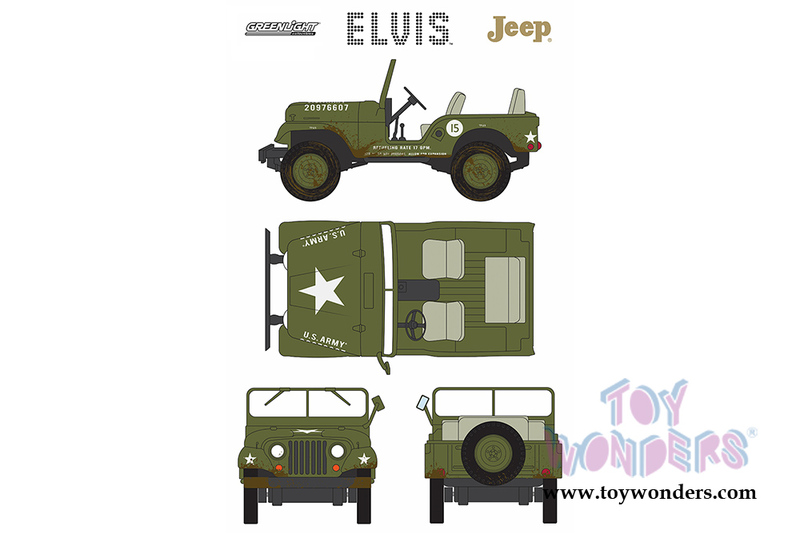 86311 Greenlight Hollywood - 1963 US Army Jeep Willy's CJ-5 Elvis Presley. 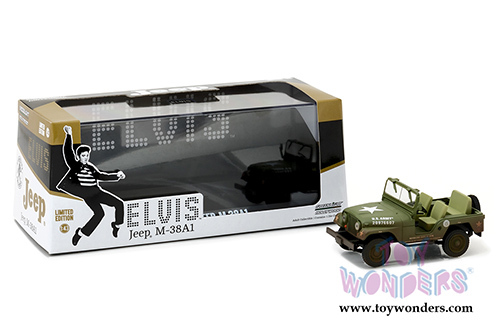 1:43 scale diecast collectible model car. This '63 Jeep is 3" long diecast collection car. 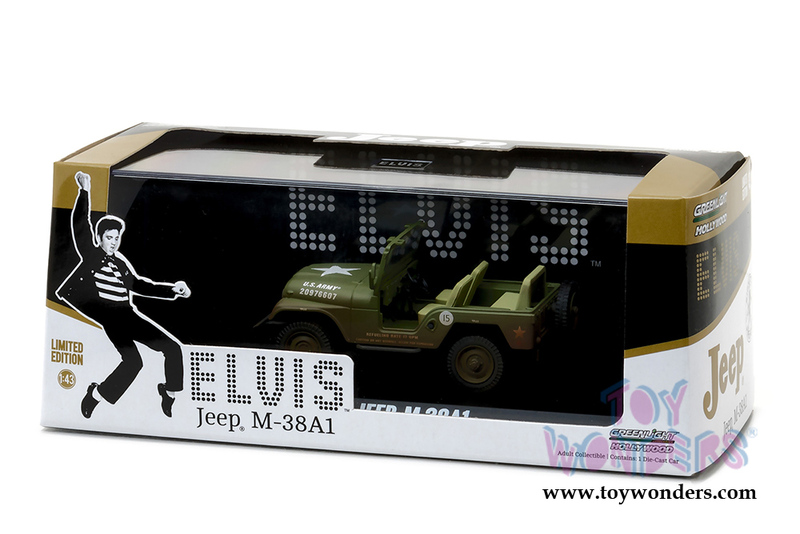 It sits on a display plaque. 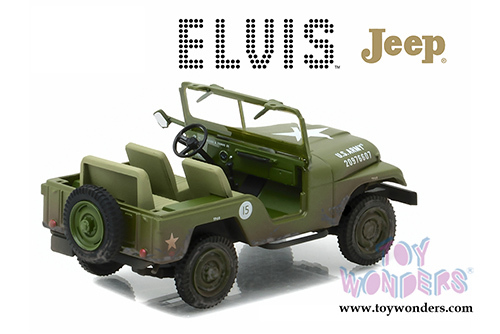 This 1963 Jeep is manufactured by Greenlight. Item 86311 is in GREEN color. Individually packed in a hard plastic case. 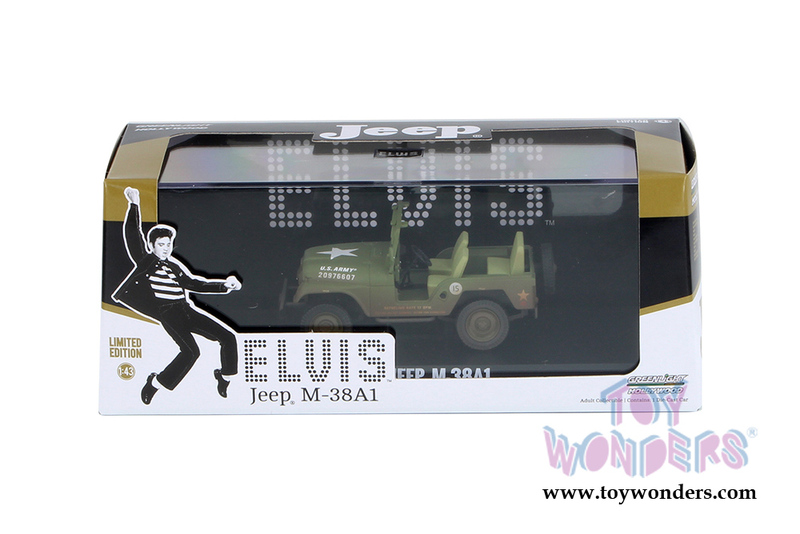 Case size: 7.25"Lx 3.25"Wx 2.75"H.
To see more Jeep collector die-cast vehicles (click here). To see more Greenlight collector diecast models (click here).